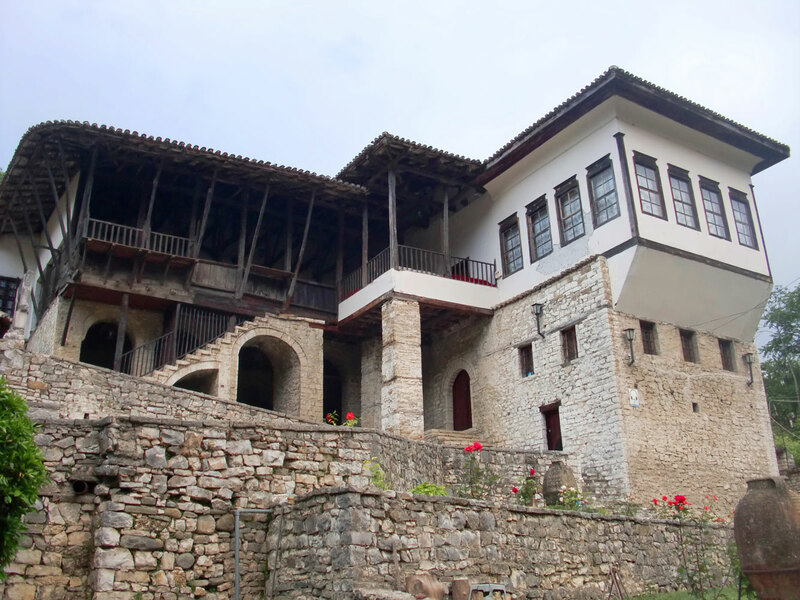 Berat National Ethnographic Museum is located in the city of Berat and it was opened in 1979. The building where the museum is placed was constructed in the 18th century and it is typical creation of the local schools of art and crafts, designed and constructed by local masters. 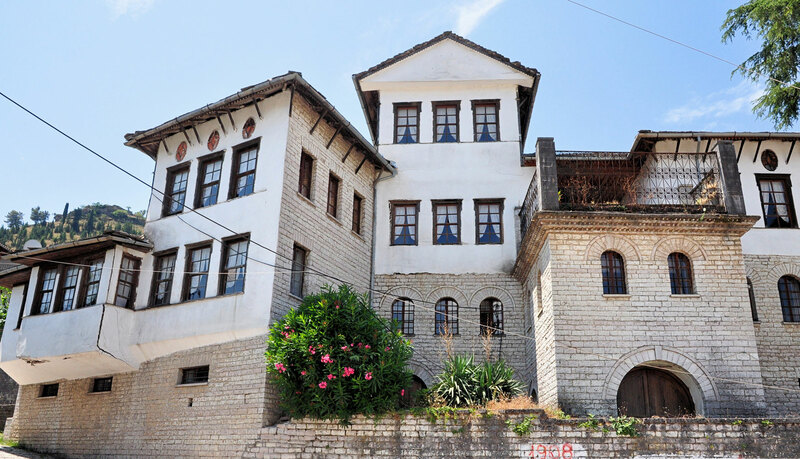 The museum is situated inside a few of the most characteristic houses in town and the rich collection of traditional objects together with the actual domestic spaces inside, are one of the principal examples of Berat’s long history and culture. Butrint (ancient name Buthrotum) Archaeological site is located 14 km south from Saranda and close to the border with Greece. It is a part of the Butrint National Park. Although the area around the site has evidence of prehistoric occupation, it is known as an ancient Greek city, later Roman city and an early Medieval Bishopric. Following a period of prosperity under Byzantine administration, then a brief occupation by the Venetians, the city was abandoned in the late Middle Ages after marshes formed in the area. 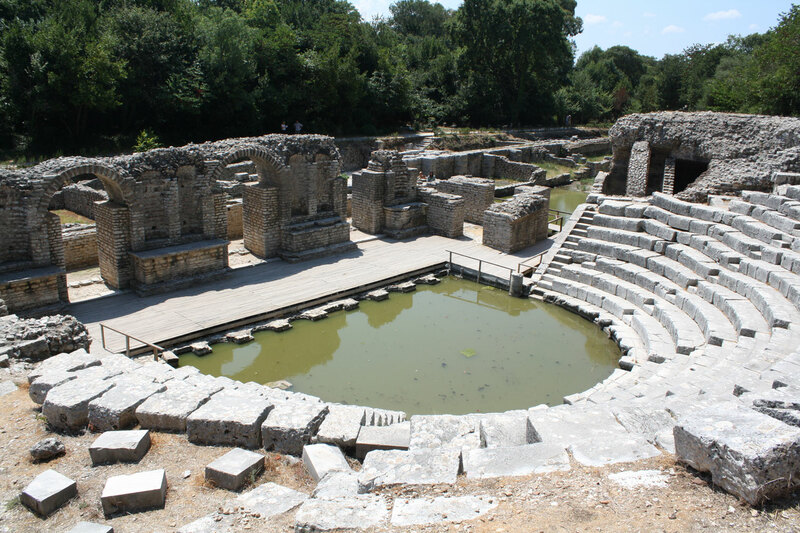 Since 1992, Butrint Archaeological Site is an important UNESCO World Heritage Site. Durres Archaeological Amphitheater is located in Durres, the second largest city in Albania. The amphitheater was built in the second century BC and was still in use up until the 5th century AD. It is the largest amphitheater on the Balkan Peninsula with a capacity of 20.000 people. Inside the ruins of the amphitheater there is a preserved chapel from the 6th century, dedicated to the first bishop of Durres, St. Astius. This popular tourist attraction is currently on a list of endangered heritage sites in Europe. Durres Archaeological Museum is located in the city of Durres and it was established in 1951. This is the largest Archaeological museum in the country, reopened in March 2015, after 4 years being closed. The museum consists of a large collection of artefacts dating back from the Ancient Greek, Hellenistic and Roman periods. Gjirokaster Ethnographic Museum is located in the Palorto Quarter, which is the best preserved district in the old town of Gjirokaster. The museum stands on the site of the home of Enver Hoxha, the well known communist dictator. The museum building was constructed in 1966 after the original house was destroyed in a fire. Its architecture is a model of traditional house. The rooms are arranged as they would have actually been used and they are decorated with numerous household items, folk costumes and cultural artefacts of a wealthy family of merchants or Ottoman administrators who lived back in the 19th century. Korce National Museum of Medieval Arts is located in the city of Korce. 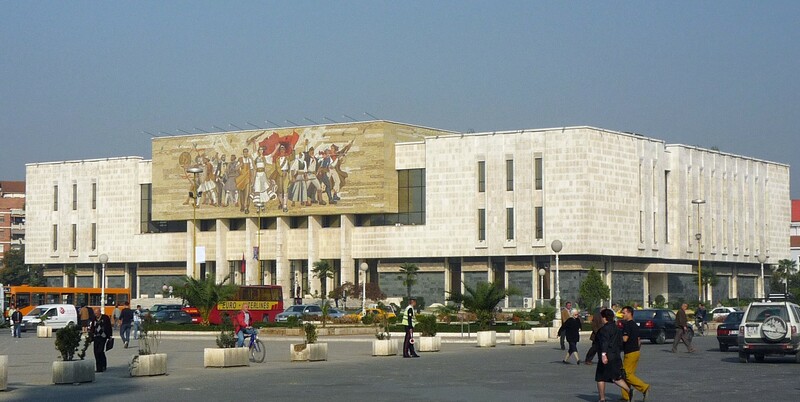 It was inaugurated in April 1980 and it represents one of the most important museums in Albania. 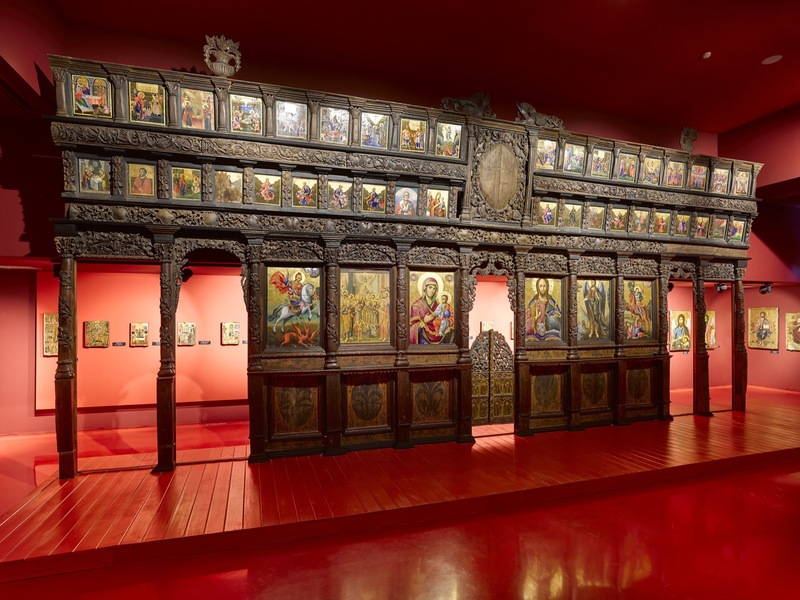 Its fund counts over 7.000 art items, mainly medieval icons as well as stone, wooden, metal and textile works by anonymous and well known artists from different areas of the country. Pavilion of Mother Teresa, dedicated to Mother Teresa’s family, life and work. 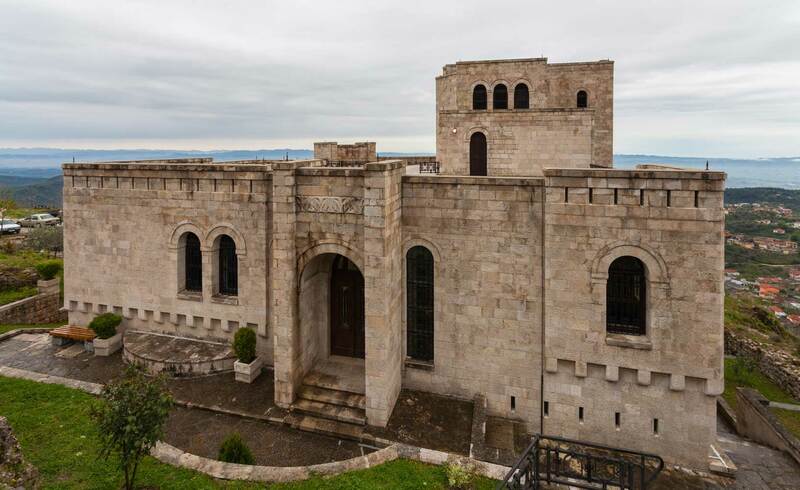 Royal tombs of Selca and Poshtme are located near the town of Pogradec, on the right bank of the river Shkumbin on elevation of 1040 m above the sea level. The ancient Iron Age Illyrian settlement was destroyed in antiquity. However, the site is now known for the associated necropolis used by the Illyrian kings during the 4th and 3rd centuries BC. Probably, during this period, the city was an important political and economic center. 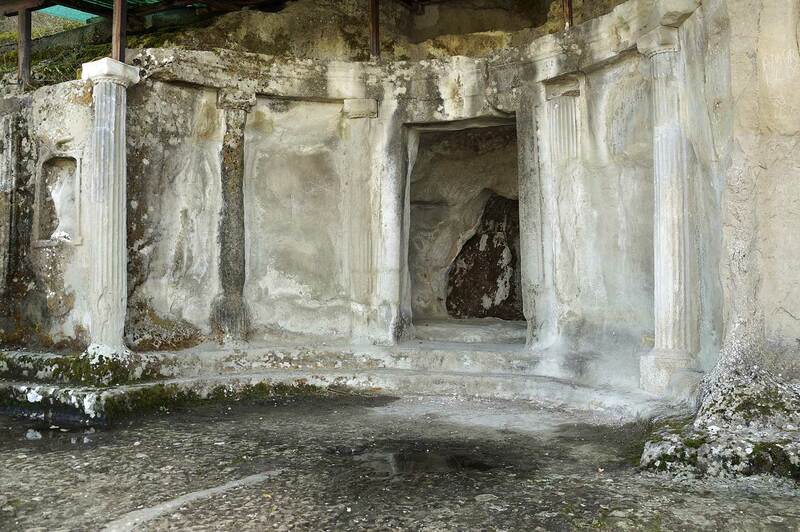 In 1996, Albania included the Royal tombs in the UNESCO World heritage list of proposals. Skanderbeg Museum is located in Kruja Castle and honours the name of George Kastrioti Skanderbeg, a national hero who successfully defended the first Albanian state against the Ottomans and its military achievements. The exhibits include paintings, armour and other original military artefacts. Although there is a replica of the hero’s goat head-topped helmet, the original can be seen in the Museum of Fine Arts in Vienna, Austria. The ancient city of Apollonia was established by Greek colonists from Corfu and Corinth and developed into one of the most important ancient Greek cities in Illyria. The city reached its greatest development in the Roman period, but it was abandoned in late antiquity. This ancient Greek city and former bishopric in Illyria is located on the right bank of the river Vjosa and its ruins are situated in the Fier region, near the village of Pojani. 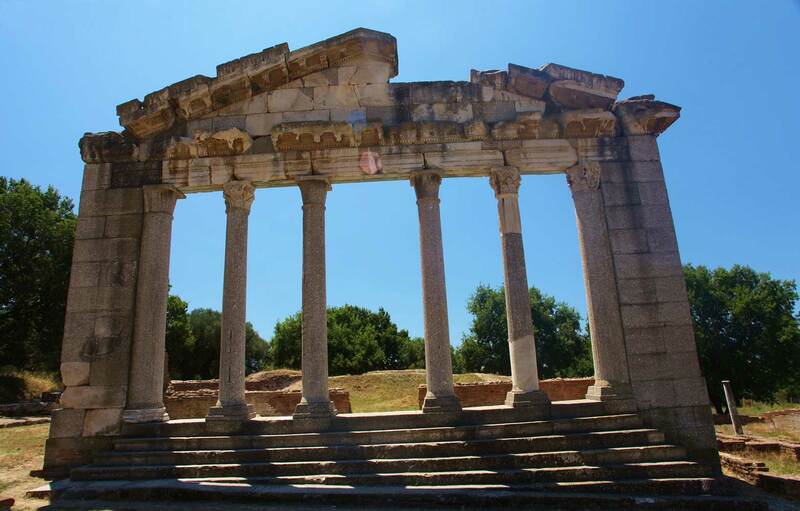 The city is characterized with high authenticity, offering important data about the history of the city and making Apollonia of Illyria very popular among the international scientific community.